Little over a month since the season’s previous seedings revision, the UK Championship marks the third cut-off of the season, as Mark Selby replaces Judd Trump at the head of the rankings, while there have been various other changes up and down the list. This seeding list will now be used for all of the remaining tournaments this season, with the exception of the 2013 World Championship. 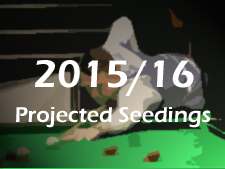 As ever, I have also now produced the new projected seedings list, which will eventually determine the seedings for the Crucible. You may notice that the table is a slightly different format this time, as you can now highlight particular rows by hovering your cursor on the table, whilst you can now sort the players by different columns. Unfortunately the sorting appears to have a mind of its own in places, but I will see what I can do about that! A final point to note is that at this stage I have not yet added minimum points earned for the PTC Finals and will do so once the 32 players involved have been confirmed, following the Munich Open. Mark Davis‘ status as snooker’s perennial world number 17 has become almost a running joke during the past couple of seasons, but by reaching the semi-finals of the UK Championship, he has now deservedly elevated himself up into the world’s elite top 16 on merit. Having narrowly missed out by a frame last season when he lost out to Anthony Hamilton at one of the PTCs and with points to defend, I had wondered whether Mark might have missed his best chance to break into snooker’s top tier, but with three semi-finals in full-ranking events during the last six months and relatively few points to defend between now and May, he has every chance of climbing further still. Dropping down to 17th place is Barry Hawkins, who only climbed back into the top 16 at the previous cut-off, however with the continued absence of Stephen Lee further up the draw, he looks to be assured of a place at the venues for the foreseeable future in any event. 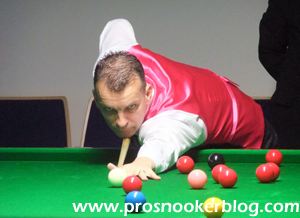 The placings in and around the top 32 mark have remained relatively static, with the likes of Mark King, Ken Doherty and Jamie Cope holding onto their positions inside snooker’s second tier at this cut-off. 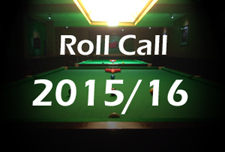 With Ronnie O’Sullivan and Stephen Lee both likely to be absent from tournaments for the immediate future, the beneficiaries will again be Fergal O’Brien and Jamie Burnett, as was the case at the previous cut. 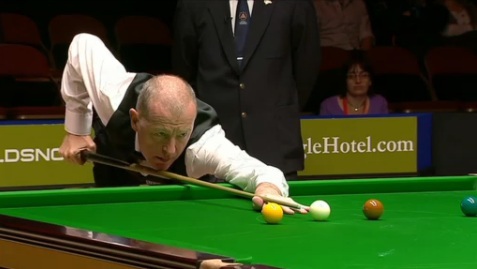 Regaining a place inside the world’s top 48 as of right is six-times world champion Steve Davis, courtesy of his impressive run from 4-0 down against Pankaj Advani in qualifying for the UK Championship to qualify for the venue stages in York. Joining him will be David Gilbert, who continues his rise up the rankings, with only starter points from the 2010/11 season to defend having regained his main tour place via the Q School at the start of last season. Dropping out of the top 48 meanwhile are Liu Chuang and Gerard Greene, the latter having suffered an alarming dip in form over the past year or so. 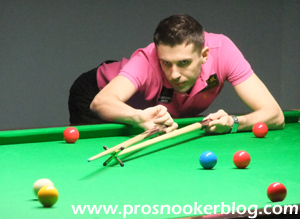 The good news for Gerard however is that thanks to the absences of Lee, O’Sullivan and Stephen Hendry further up the rankings, he along with Yu Delu and Jimmy Robertson, is set to benefit from a top 48 seeding during the next few tournaments. Again, with all players ranked outside of the top 64 beginning the season on zero points, it is too early for any of them to make it up into the top 64. Importantly however, with the three absences already mentioned, as well as that of Joe Jogia, it appears as though Cao Yupeng, Rod Lawler, Luca Brecel and Thepchaiya Un-Nooh will all benefit from a stronger seeding between now and the World Championship.